Living in the moment is a philosophy that Joey Alexander follows not only to his musical career but also in life. Speaking on the phone with the Balinese pianist, it is nearly impossible to tell that he just turned 13. He is gracious and thoughtful when answering questions and amazingly articulate for a boy his age, especially given that he’s only been learning English for a couple of years. But considering his eloquence on the piano – evidenced by the rapt attention of fellow musical stars at this year’s GRAMMY Awards performance and pretty much wherever else he plays – it’s really not that much of a surprise. Joey taught himself how to play an electric keyboard at the age of 6. He received his first real piano at age 7 and by the time he was 8, was performing for the likes of Herbie Hancock. At 10, thanks to a special invitation by Wynton Marsalis, he made his debut at Jazz at Lincoln Center. Shortly afterward, he and his family moved from Indonesia to New York City. He performed on two stages at the Newport Jazz Festival. Since moving to the U.S. he has played at major jazz festivals around the world as well as at the White House for President Obama. His debut album – 2015’s My Favorite Things – garnered two GRAMMY nominations for Best Jazz Instrumental Album and Best Improvised Solo (on John Coltrane’s “Giant Steps”). A forthcoming album – Countdown – is scheduled for a September release and Joey is excited to perform his new material in Vail this Thursday. When asked to name his most exciting or memorable experience so far in his young musical career, one would think Joey would immediately name his White House or GRAMMY performance, but no. As far as his future goals, the 13-year-old is not someone who looks ahead but who embraces what is right before him. 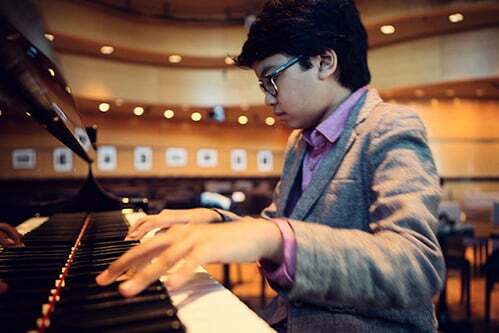 Joey Alexander, 13-year-old piano sensation, performs with bassist Dan Chmielinski and drummer Ulysses Owens, Jr. this Thursday at Vail Square. 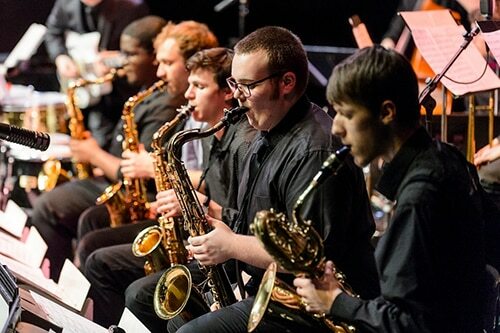 The performance is from 6 to 8 p.m. inside the all-weather jazz tent in Lionshead. General admission tickets are sold out but premium seating is available for $40 in advance. For tickets or more information visit vailjazz.org or call 888-VAIL-JAM. Michel Camilo has never wanted to limit himself to a specific genre of music. His freedom of expression is characterized by a flurry of rubber wrists and fingers slapping the piano keys. He is a blur but strikes every note with incredible intent and accuracy. In spite of his precision, there is something about his demeanor not unlike a child playing with a favorite toy. Growing up in the Dominican Republic, the composer discovered his favorite toy at the age of 9 and studied with the National Conservatory for many years. By the time he was 16, he was performing with his country’s National Symphony Orchestra. Although several of his family members played music as a hobby and his aunt was a classical piano teacher, Camilo became the first professional musician in the family, his classical style infused with Caribbean flare, jazz, bebop, ragtime … and something all his own. With no barriers in mind, Camilo moved to New York City in 1979 and studied at Julliard and Mannes College. Shortly after making his international stage debut in 1983, Camilo won his first Latin Grammy. 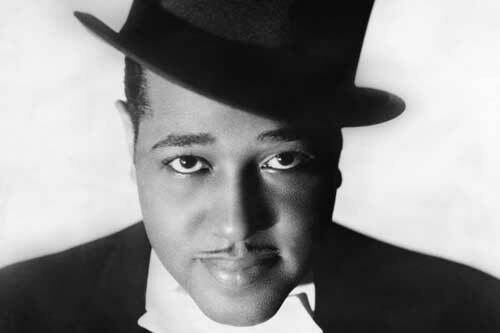 He formed a trio and after an inaugural Carnegie Hall performance, launched into a European tour. More than 20 albums later, Camilo is still touring the world, jumping back and forth from Europe to the Caribbean, to the U.S. and South America in any given month. He has composed scores for films all over the world, arranged and composed for the Danish Radio Big Band and has appeared as a soloist in just about every top national symphony orchestra and philharmonic throughout the globe, including the National Symphony Orchestra, the Carnegie Hall Big Band, the Cleveland Orchestra, Copenhagen Philharmonic and the BBC Symphony Orchestra. Back in his mother country, Camilo has reached national hero status, being named a Knight of the Heraldic Order of Christopher Columbus and awarded the Silver Cross of the Order of Duarte, Sanchez & Mella. Conducting for the National Symphony Orchestra of the Dominican Republic, one of his programs included The Goodwill Games Theme, which went on to win an Emmy Award. For several years, he was the musical director for the Dominican Republic’s Heineken Jazz Festival and his recordings have consistently topped national radio play charts. 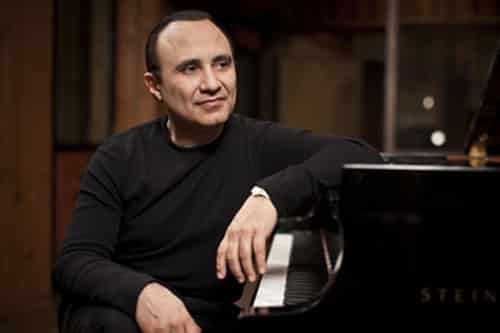 In addition to many appearances now at Carnegie Hall and the Kennedy Center in New York, Camilo has also performed at The White House and Royal Albert Hall. He has shared the stage with nearly every global jazz icon of our time, including Dizzy Gillespie, Herbie Hancock, Tito Puente, Paquito D’Rivera, the Labéque sisters, Bela Fleck and Toots Thielemans. Camilo’s style continues to defy definition, seamlessly bridging gaps between popular and world music, jazz and classical. After a GRAMMY Award win and numerous Latin Grammys, the pianist continues not only to enrapture world audiences with his magical command of the keys but imparts his wisdom and passion to students across the globe. Michel Camilo Trio with Cliff Almond and Lincoln Goines makes its Vail debut at the final Vail Jazz Club Series performance of the summer on July 27 at Mountain Plaza Lounge near Gondola One. Doors open at 8 p.m. and music starts at 9 p.m. Tickets are $40 in advance. 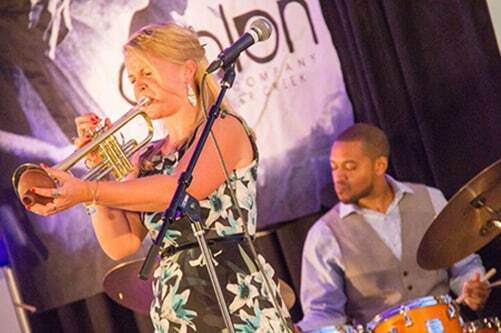 The trio then takes the big stage for Vail Jazz @ Vail Square from 6 to 8 p.m. on July 28 at the all-weather jazz tent in Lionshead. Advanced tickets are $20 for general admission or $40 for premium seating. For tickets or more information visit vailjazz.org or call 888-VAIL-JAM. Just as a Spanish kitchen heats up quickly, filling the air with aromas and flavors of hot peppers and savory rice into a sizzling dish, Michel Camilo takes the stage with zest, putting a dash of salt and pepper into his original piano compositions and arrangements. The Grammy award winning Pianist & Composer infuses Latin-Jazz and Classical music together right at his fingertips. Forming advanced and modern compositions and arrangements. Camilo takes the influences of big band music and transforms the style into vibrant solo piano. On his latest album “What’s Up?” Camilo takes standards such as “Take Five” and “Love for Sale” and performs them in an explosive and unheard velocity. Camilo incorporates new originals “Paprika”, “On Fire” and “Island Beat” that intrigue the audience to internalize the music not just through the ears, but that make you want to dance from your head to your toes! 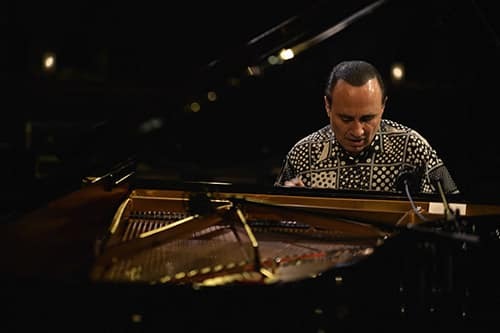 Michel Camilo is not afraid to show versatility, from collaborating with Latin-Jazz artists such as Paquito D’Rivera, Tomatito and Gary Burton to performing original piano concertos with some of the world’s biggest symphonies including the BBC Symphony Orchestra, Detroit Symphony Orchestra and the National Symphony Orchestra of his home country Dominican Republic. Vail Jazz is pleased to welcome to the stage this summer, Michel Camilo along with Cliff Almond on Drum & Percussion and Latin-Jazz Bassist Lincoln Goines. The three were recently featured together on the album Playing Lecuona and performances include the Blue Note Nyc/Tokyo, Ronnie Scott’s Newport Jazz Festival, and Copenhagen Jazz House. When impersonating his father, famed guitarist Bucky Pizzarelli, John Pizzarelli adopts a raspy voice with a strong Jersey accent. He speaks of his father with a tone of equal parts humor and adoration. 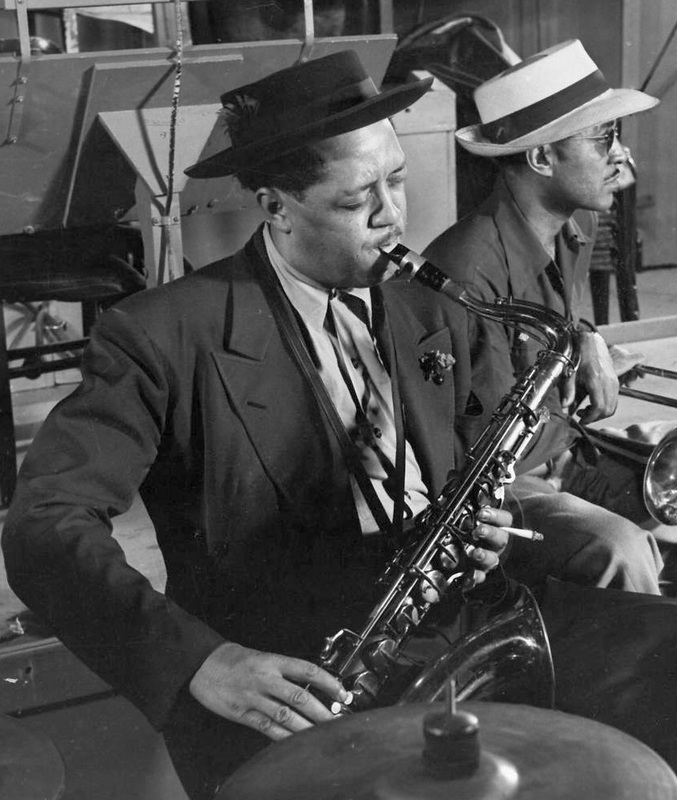 Coming from one of the most talented, harmonious families in jazz history, there was never any pressure for John to take up music as a young boy. He was never pushed to follow in the footsteps of his father, but Bucky has certainly played a part in refining his son’s skills, even when it comes to hitting the most complicated bridges and transitions on the guitar. “If you don’t do it right, he looks at you and makes that face and shakes his head,” John says. Growing up surrounded by instruments and talent, playing music was pure fun for John and everyone else in the house. It didn’t hurt that the revolving door was frequented by folks like Benny Goodman and Clark Terry. “It was very easy. We had all the guitars and all the equipment,” says John, who returns to Vail July 13 for an intimate performance at Vail Jazz Club Series and then takes the big stage in Lionshead July 14 for Vail Jazz @ Vail Square, performing with his brother Martin on bass, Konrad Paszudzki on piano and Kevin Kanner on drums. Although he is known to sing and play hypnotizing renditions of classics from The Great American Songbook, Pizzarelli often performs pop songs by the likes of Neil Young, Joni Mitchell, Elvis Costello and The Allman Brothers, to name a few, infusing each selection with an effervescence of unique harmonies, mash-ups and frolicking string work. His latest studio album, Midnight McCartney, is a collection of lesser-known Paul McCartney songs and was co-produced by John’s wife, singer Jessica Molaskey, featuring contributions from Bucky. The brainchild behind the record was the ex-Beatle himself. Pizzarelli had collaborated with McCartney in the past, not to mention covered a portion of his repertoire on his 1996 release, John Pizzarelli Meets The Beatles. But when Sir Paul wrote to suggest (apologetically admitting that it might seem “immodest” or “pushy”) that perhaps Pizzarelli could lend his magic to some of his post-Beatles’ melodies, Pizzarelli could hardly say no. He dove into 45 years worth of McCartney’s discography and unearthed a selection of tunes he could re-harmonize with that special zing. We started to realize how brilliant these songs are. He’s obviously a rock ‘n’ roller, but they were really easy to break down. When it comes to performing with his brother and the rest of his quartet, Pizzarelli cherishes the band’s ability to instantly read one another. Some of his most memorable moments on stage include performing with the likes of McCartney, James Taylor and Natalie Cole who Pizzarelli describes as “generous, beautiful people.” Of course one of his big breaks as an artist was opening for Frank Sinatra in the early 90s, when he took the stage to crowds of 15,000 to 20,000, an experience he described during his appearance on Voice of America’s Beyond Category series, as surreal. “You’re just sitting out there thinking, where are these people coming from? Then you’re looking in the wings and there’s Sinatra snapping his fingers,” he said. 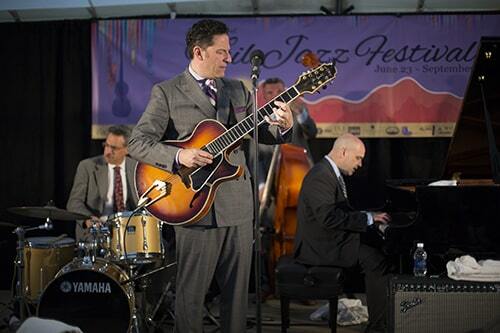 Don’t miss John Pizzarelli as he takes the Vail July 13 for an intimate performance at Vail Jazz Club Series at its new location in Mountain Plaza Lounge. Doors open at 8 p.m. and music starts at 9 p.m. Tickets are $40 in advance. The quartet, including Pizzarelli on vocals and guitar, his brother Martin on bass, Konrad Paszudzki on piano and Kevin Kanner on drums then takes the big stage for Vail Jazz @ Vail Square from 6 to 8 p.m. on July 14 at the all-weather jazz tent in Lionshead. Tickets are $20 for general admission or $40 for premium seating. For tickets or more information visit vailjazz.org or call 888-VAIL-JAM. 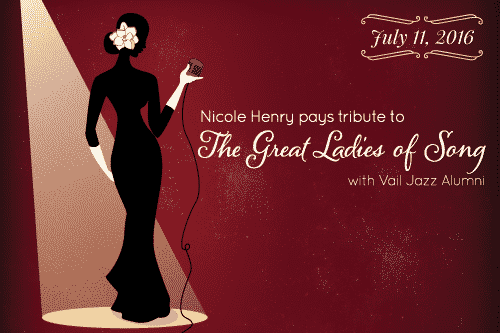 This Monday (July 11), Vail Jazz will present the splendid vocalist Nicole Henry in her tribute to the “Great Ladies of Song.” On stage Nicole has a mesmerizing presence and is blessed with a unique gift as a performer that allows her to connect with her audience in a powerful way. When covering a classic tune, Nicole captures the essence of her predecessor’s brilliant treatment of the work, while telling the story in her own style. At last year’s Vail Jazz Festival, she lit it up over two nights delivering tender ballads, up-tempo jazz standards, cabaret torch songs, down and dirty blues, soul stirring hits, awe inspiring gospel tunes and booty shaking R & B anthems. The audience was so taken by her extraordinary talent that we immediately made plans for her to return to Vail and it was agreed that she would pay homage to some of the great female vocalists who have shaped the music of today and whose collective body of work has entered all of our consciousness. Before we explore the iconic singers Nicole will pay tribute to and why, it should be understood that Nicole’s goal wasn’t to create a “Top 10 List” of female vocalists. You can go to Google for that type of thing, but it is a foolish endeavor to compare singing voices, so that you can declare winners and losers in a popularity contest. 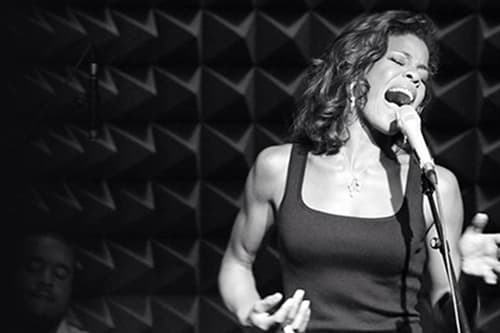 With that caveat in mind, Nicole has selected these Great Ladies of Song: Ella Fitzgerald, Aretha Franklin, Billie Holiday (Eleanora Fagan), Whitney Houston, Etta James (Jamesetta Hawkins), Nina Simone (Eunice Kathleen Waymon), Sarah Vaughan, Dinah Washington (Ruth Lee Jones) and Nancy Wilson. They were born between 1915 (Ella) and 1963 (Whitney), a period of time saw a great deal of change in American society, but nothing like the change that took place in the next 50 years. Unfortunately, many of them did not live to see the most recent changes in our culture, as only Aretha and Nancy are still with us. Yes, they won Grammys and numerous awards, sold a lot of records, became world famous and performed for royalty and throughout the world. Some easily fit into categories such as jazz, R & B, soul, gospel and pop, but others defy classification as they effortlessly moved between different styles of music. Some amassed large fortunes, and in many cases lost those fortunes. Unfortunately, drugs and alcohol shaped many of their lives and careers (Billie, Dinah, Etta, Whitney and Aretha) and in some cases, ultimately caused their demise at an early age (Billie, Dinah and Whitney). Mental illness was a constant companion for Nina for a significant number of her years. Many of them had failed marriages with Dinah holding the unenviable record of seven times to the altar. They had an array of voices – some limited in range (Billie, not much more than an octave) and in other cases quite expansive with an unbelievable range (Sarah: three octaves). Some had perfect pitch and technique comparable to instrumentalists (Ella). Some were virtuosic while others were limited in that category, but made up for it with expression and passion (Billie). Several got their start by winning talent contests (Ella, Sarah and Dinah). However you try to make comparisons, though, what you discover is the one constant … that each was an ORIGINAL and brought to her performances real emotion and authenticity that allowed her to connect with the audience. It’s the kind of emotion that isn’t practiced, but comes from within, when the lyrics of a song touch your soul. And speaking of soul, one unifying factor for all of these women (with the exception of Ella) was that they started singing as youngster in their churches and gospel music was their first step into the vocal world. All of them had a strong connection to the blues and all were Black. Think of it – American Black women singers, singing gospel and/or the blues, during a time period (all started singing professionally between the1930s and 1960s, except for Whitney who start focusing on singing in the early 80s), when men dominated the music business and blacks and women were struggling to assert themselves in a prejudiced and unjust society. Now we think of concert halls as the venues where great singers work, but for many of them, they started out in smoked-filled nightclubs and saloons where working conditions for a woman were challenging to say the least. It was a time when the plight of blacks and women had yet to take center stage in our political discourse and cultural values were ever so slowly changing. Ultimately these women were not only great singers but trailblazers who fought for their place in the spotlight and went on to inspire future generations of singers. Their gift was not just to sing a song, but to reach within themselves to craft their own style and tell a story in a convincing way. The pain that each of them endured had to be balanced with something, and for these Great Ladies of Song, it was by the joy of their music making. These women endured and we are the beneficiaries of their musical legacies. 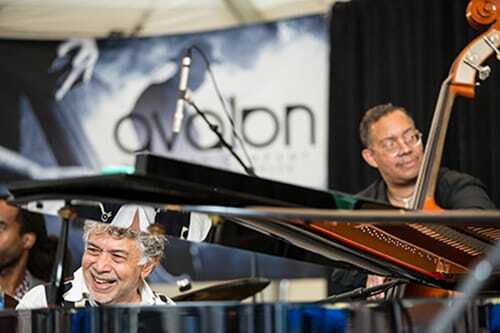 Don’t miss Monty Alexander, John Clayton and Jeff Hamilton celebrating 40 years in an intimate lounge performance on July 6 to kick off the 2016 Vail Jazz Club Series at its new location in Mountain Plaza Lounge. Doors open at 8 p.m. and music starts at 9 p.m. Tickets are $40. The trio then opens the Vail Jazz @ Vail Square season from 6 to 8 p.m. on July 7 at the all-weather jazz tent in Lionshead. Tickets are $20 for general admission or $40 for premium seating. For tickets or more information visit vailjazz.org or call 888-VAIL-JAM.